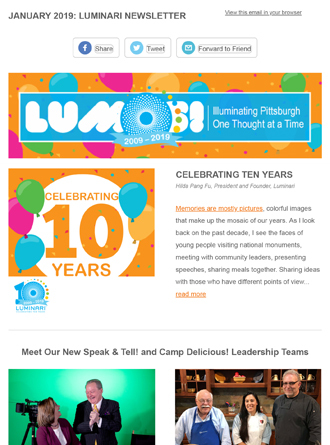 Our eNewsletter Lumos! 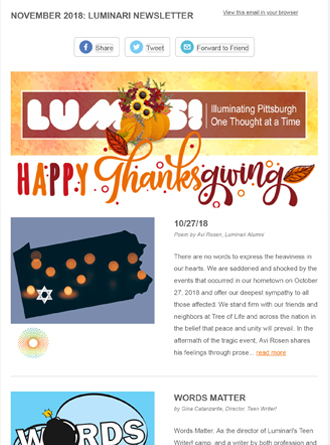 is the best way to stay in touch with Luminari and its activities. Are you a writer, cartoonist, photographer or poet who is long established or just starting out? 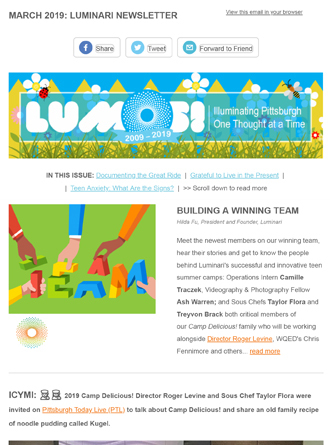 We are inviting submissions of work for publication in Lumos, our bi-monthly newsletter. For each issue, we will consider publication of essays, short fiction, journalism, poetry, photography, cartoons and illustrations. 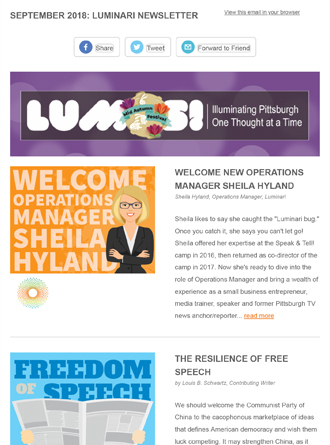 Our goal is to present a rich and vibrant online publication that opens the world of creative expression to our large reader base. Contest: For each issue, we will select one winning submission. The prize is a $25 Target gift card.